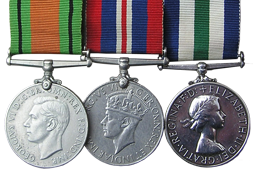 The OMRS is a UK-based society with a global membership dedicated to the research and collecting of orders, decorations and medals, in memory and honour of the original recipients. Where possible the Society publishes the results of individual research either in article or book format and puts researchers and collectors in touch with each other. We are a 'members only' society administered and run by elected volunteers from within the membership. A constitution and by-laws ensure that the society runs smoothly and for the benefit of all members. To promote and foster a general interest in the study of orders, decorations and medals and all matters related thereto. To assist members in their researches. To publish such information, particularly the results of individual research, as may be practicable. To do all such lawful things as, in the opinion of the Committee, shall further the objects of the Society. Anyone with a keen interest in the research and collecting of orders and medals can apply for membership of the society and new members are warmly welcomed. The Journal is a quarterly publication, is sent to all members. Each issue of the Journal contains over 70 full colour pages with articles on all aspects of medals, orders and decorations, a member’s wants section and Society news and notices. Back issues of the Journal are available to members at a discounted rate. To download a sample Journal, click here. Members have access to our on-line research library which contains searchable back issues of the Society's Journal going back to 1973, and also a growing number of medal rolls. The Society holds an annual convention over a weekend where members can meet, share information, tips and history and discuss new purchases and possible trades. Saturday of the Convention is for members only and this is where members can exhibit their research, whether a single medal, medals to a regiment, a family story or even just a ribbon. The displays always attract a lot of attention from the other attendees and provide a focal point for the day. In addition, a series of lectures are given throughout the day on medal and research-related themes. On the Sunday of the Convention a bourse is held attended by many of the largest dealers so there is plenty of opportunity for finding that elusive item. The OMRS has branches around the UK and also overseas. Members can attend local branch meetings, typically held monthly r bi-monthly, where members gather together for presentations and to share their expertise and enthusiasm for the hobby. Check the Local Branch page to see where your nearest branch is. If you are interested in membership, visit Join the OMRS.